Gluttony will have two food hubs in Rymill Park this year. Gluttony is doubling its food and drink offering in Rymill Park for the 2019 Fringe, which begins next Thursday, but one of its most intriguing new bars will be located in a North Terrace basement. The outdoor hub has expanded to a second site – the 130-year-old Masonic Lodge (also known as the Freemasons Hall), at 254 North Terrace – and as well as three performance spaces the lodge will also have a newly created pop-up bar to be known as The Green Room. “It’s in what’s called the Sam Jacobs Room, in the basement down a beautiful staircase,” says Tess Footner, Gluttony events and operations. Presented with an empty space in which to create the bar, the Gluttony team opted to work with the room’s existing dark wood panelling and green-painted walls by giving it what Footner describes as a kind of “Bohemian / Jacobean” look with heavy vintage wood furniture including lounges and armchairs, plus brightly coloured fabrics. “The furniture itself is quite ‘mature’, but we’re adding some touches that will make it a bit more playful,” Footner says. Able to accommodate up to around 200 people, The Green Room will be open to the public even if they aren’t seeing a Fringe show at the Masonic Lodge, with a DJ, a piano and artist cameo performances. It will incorporate a large marble bar as well as a separate cocktail space, where Davis Richardson (formerly of Chihuahua in Peel Street) will be slinging his signature cocktails. Richardson, who is currently in London on a working holiday but will return home for the project, tells us his cocktail list will include both classics such as The Delicious Sour, the East 8 Hold Up and the Charlie Chaplin, as well as modern twists such as a flame-grilled-pineapple-skin-infused Boulevardier and a dark tequila Espresso Martini. “I have several cocktails in mind for a progressive blackboard menu, as do my colleagues and rock-star bartender friends who will visit. A taste of what will be in store at Gluttony’s outdoor Fringe hub. In the main Gluttony space in Rymill Park there will be two hubs – to be known as East Market and 5AA West Market – with a total of eight bars. These include the tiny Saké Bar, which proved a hit at the Lucky Dumpling Market during last year’s OzAsia Festival, and a dedicated Local Bar, with an SA-centric beer, wine and gin list plus a rotating offering of small-batch wines. Gluttony guests can also take part in what is described as a new winemaking “activation” being overseen by Freddy Nerks winemaker Justin Lane. Wines will be made on site and by hand, from the de-stemming and pressing of the grapes, culminating in the tasting of the fresh wine. There will also be 21 food vendors split across the West and East markets, including newcomers Vera Pizza Oztalia (operated by McLaren Vale-based Pizzateca), Spaghetti Crab (serving up Luigi Delicatessen’s house specialty), Flat Iron Grill, Jerry’s Smokehouse and Soza’s Sri Lankan. Sweet-tooths can indulge to their heart’s content at RCC’s Sweet Street. In its new home at the University of Adelaide, RCC Fringe (formerly the Royal Croquet Club) will have two pop-up dining areas: Chow Town, on the Maths Lawn with entry via the main gates on Victoria Drive, and Sweet Street, on Western Drive. The latter will be a laneway dedicated specifically to desserts, and while organisers aren’t yet releasing the names of any vendors, they promise “a range of coffees and treats – think flavour-filled donuts, Italian delicacies and a premium ice-cream selection”. Asian food vendors Sit Lo and Honki Tonki will operate stalls in the Chow Town food area, where you’ll also find KFC (Korean fried chicken) from Grenfell Street Korean restaurant +82 Pocha, a collective of SA pizza-makers, and barbecue pork ribs, buffalo wings and corn from Carnivore grill house. RCC creative director Stuart Duckworth says the hub is trying to support and promote as many SA businesses as possible, with dedicated wine bars selling boutique wine from the likes of Cake Wines (Adelaide Hills) and a gin garden with local spirits such as Adelaide Hills Distillery’s 78 Degrees and Green Ant Gin. 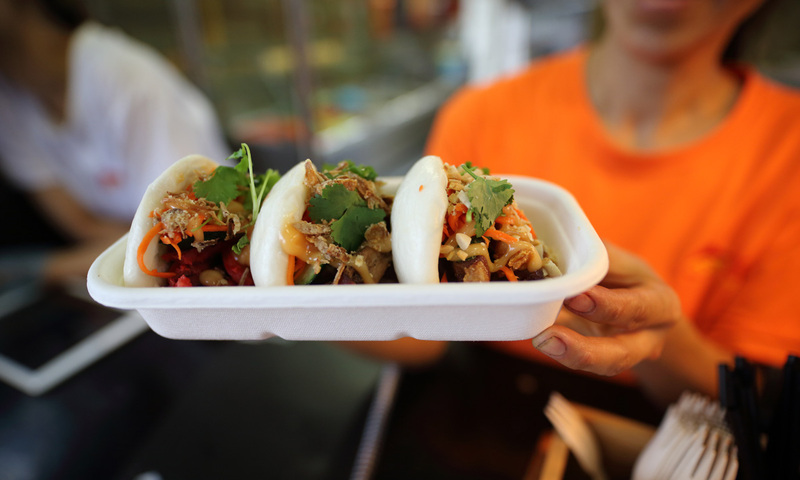 One tasty food offering that made its debut at the Royal Croquet Club’s former Pinky Flat hub at last year’s Fringe, Motherlode Nuggetaria, is this year moving to the Garden of Unearthly Delights in Rundle Park. Motherlode is popping up all over the place these days – from the d’Arenberg Cube to this Friday’s Laneway Festival – but it has stayed true to its original concept of elevating the “nostalgic, yet ever-so-humble” chicken nugget. That said, there are a number of variations on the menu, from laksa nuggets to karaage nuggets, and it offers meat-free options such as its take on KFC (Korean fried cauliflower). Also new to GOUD this Fringe is the colourful, Havana-inspired Cuban Carlos, serving dishes such as chilli citrus and crab tostadas, Cuban rice bowls and a Pan Cubano sandwich. Predominantly plant-based diner The Veggie Galley is returning to the Garden (with a menu including the likes of a “Buccaneer Burger” with haloumi, pineapple and thousand island dressing), while carnivores will be well-served by CARŌclub, with its focus on slow-cooked, smoked, braised, fried and spit-roasted meats. Garden goers can also expect the usual array of bars, including Pineapple Brothers, “where you can buy a freshly cut and juiced pineapple blended with rum or a classic mojito”, while Coffee Branch will be serving up fresh shots of coffee for espresso martinis. Float Queen – which made an impact in 2018 with decadent drinks combining ingredients such as salted caramel ice-cream and rum, or apple sorbet, vodka and sparkling wine – is also back this year with a new menu. 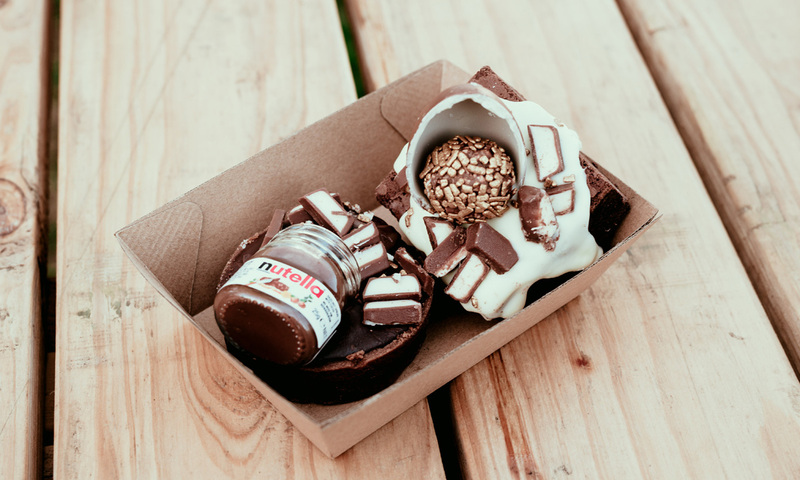 “We’ve been told to expect something sinfully chocolate,” the Garden folk promise.